While games are always becoming more advanced with nicer graphics and VR support among others, there is certain charm in older games that makes many of us play them instead. 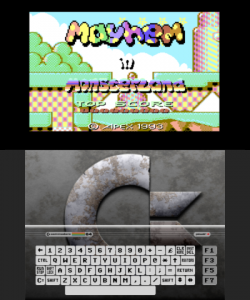 Due to this, the emulation scene is always coming up with new stuff and this time, we have VICE (C64 emulator) ported to the 3DS, a prototype of a cancelled SNES game called Atmosfear being dumped online and bsnes getting an important update! 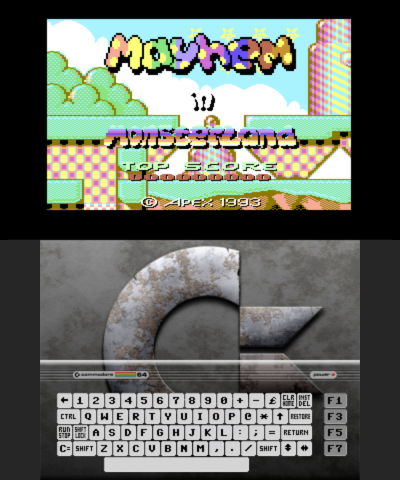 When it comes to emulation on portable consoles/devices, the Commodore 64 usually gets a backseat compared to home/portable consoles and this is probably because it requires keyboard input. As a result, it can be somewhat awkward to navigate games/software with normal controller-style controls or a single touchscreen but the Nintendo 3DS is a unique case because the lower touchscreen can be used for the keyboard making input much easier! 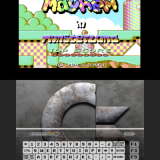 Up till now, the only way to emulate the Commodore 64 on the 3DS was by using BreadBox but this emulator doesn’t work on newer firmwares and its author has no intention of updating. 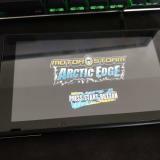 In order to remedy this, GBATemp user Badda ported the VICE emulator to the 3DS and released under the name ViceC64. 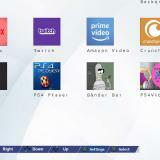 It was released 10 days ago and it’s received numerous updates ever since such as an on-screen keyboard on the lower screen, key/mouse mapping improvements and the removal of menus that could generate a non-working configuration file. To grab ViceC64, check out this link. It must be noted that it only works on the New 3DS so if you have an old 2DS/3DS/3DS XL you’re out of luck and have to use BreadBox or FrodoDS. Believe it or not, there used to be VHS (video cassettes) board games and Atmosfear/NightMare was an immensely popular one of these having sold millions of copies in the 15 year lifespan of the series. 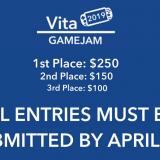 Apparently, the folks behind the board game thought it would be a good idea to bring it to home consoles as well and work was being done in the early 90s on such a port to the SNES. While various magazines mentioned it in 1993/1994, the game was eventually cancelled for unknown reasons and little was heard about it until now… This is because Hidden Place user ‘drx’ discovered a working prototype of the game in a collection of various EPROMs and after a pretty laborious process, was able to stitch together a working ROM file. To learn more about how this dump came to be and download the SNES ROM, check out this link. Emulators routinely get updates to improve various aspects of them and this time, bsnes, a popular SNES emulator, got a pretty important update to improve users’ experience. 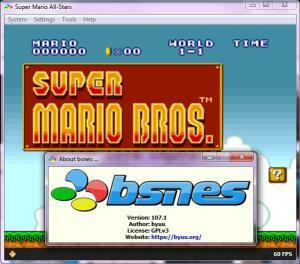 To grab bsnes 107.1, check out this link. These last few days were quite fruitful as more stuff happened relating to emulation in the past few days including an update to VisualBoyAdvance-M with a fix for an analogue stick regression, BlastEm getting a RetroArch core and Cemu 1.15.4 being publicly released. 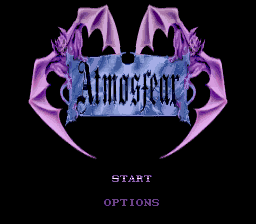 wow atmosfear, scared the *** out of me as a kid!